Tetris is a colorful game where you must place and rotate the tetrominos to make them fit each other inside of a tetrion, when a horizontal line is full: the tetrominos in that line will banish. The game is full of possibilities! so go on and play it! Tetris ® & © 1985~2015 Tetris Holding. 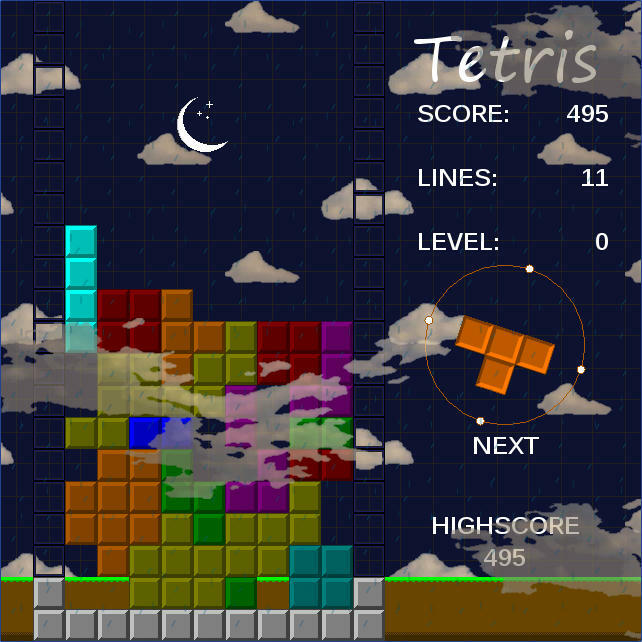 Tetris logos, Tetris theme song and Tetriminos are trademarks of Tetris Holding. The Tetris trade dress is owned by Tetris Holding. Licensed to The Tetris Company. Game Design by Alexey Pajitnov. Original Logo Design by Roger Dean. All Rights Reserved. All other trademarks are the property of their respective owners. This tetris game was made for learning purposes and I may take this game down by the owner/company request. Edited by Leafen, 05 May 2015 - 03:18 AM. Chase of Bass Super Official Website!